What Is a Double Rub? No, a double rub has nothing to do with a massage…although, it doesn’t sound like a bad idea after a long day! Double rubs are one of those things a designer understands, but you may not – until now. “Double rubs” refer to the way fabrics are tested for abrasion resistance in the interior design trade. Many fabric manufacturers – especially those US companies that cater to either the residential or commercial interior design trades – test the durability of their fabrics using the Wyzenbeek method. (The Martindale method is preferred in Europe. Although the tests are similar, the are not identical and the results are not interchangeable). 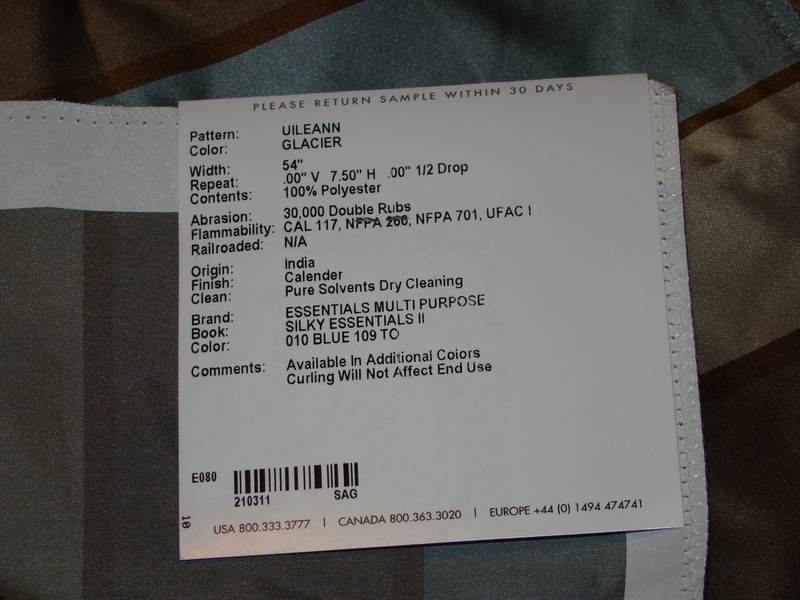 On the tag of a home decor fabric, you may see a number of double rubs listed as a measure of the fabric’s durability (see the photo below for an example). The higher the number of double rubs, the more durable the fabric will be to wear caused by rubbing. “Rubbing” wear is caused by sliding across the fabrics surface, like when you slide into a chair. While fabrics with lower double rub ratings may be fine for most residential uses and draperies, heavy duty use and commercial projects require the use of more durable fabrics. Light use residential fabrics are rated up to 9,000 double rubs. Heavy duty fabrics will survive 15,000 to 30,000 double rubs. A heavy duty fabric for a commercial setting (such as an office or a restaurant) requires a test rating of at least 30,000 double rubs. Today, many commercial fabrics will survive 100,000 double rubs or more – some up to a million or more! So, what does all of this mean to you? Well, that depends on how durable you need your fabric to be. For draperies and other items that will get little wear from hands or use, light duty fabrics are perfectly acceptable. However, if you are looking for a fabric to cover your breakfast nook bench cushion (and you have small children in your home), a heavy duty (and easy-to-clean) fabric may be just what you need. Using the most durable option isn’t always the best way to go. While it may seem that the more durable the fabric, the better it will be, that’s not always the case. Think of it this way: do you REALLY want to have the same sofa fabric for the next 50 years? Those cushions on your dining chairs…do you really WANT them to last for 20 years? I always say, if you use a super-durable fabric, it will “ugly out” before it “wears out.” 🙂 Keep that in mind as you choose fabrics for your next home decor project. 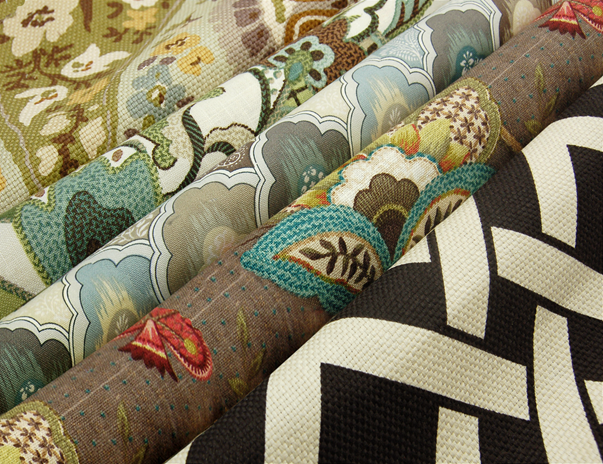 Armed with just a bit of background knowledge, you can make an informed choice about the durability of the fabric you select for your home. Although the fabric’s durability shouldn’t be the only factor in choosing a fabric, it should definitely be something to consider. What Is the Hand of a Fabric?